Quilting is more fun than Housework...: Finish Me Please! My favorite part of the quilting process is definitely sewing up the blocks. I love trying out new blocks and digging through my scrap bins for just the right piece. When it comes time to sew blocks into a quilt top, my stack of blocks tend to get stuffed in a drawer. Such is the case for this year's Squared Away Blocks. I have enjoyed making the blocks but I just really don't want to finish the quilt. So I am hoping someone else will take these blocks from me and make something beautiful! So I am putting up sixteen 10.5" scrappy blocks up for adoption. Maybe you have a group that makes donation quilts. Or maybe you have fallen behind on your own Squared Away Sampler and need blocks to make your quilt big enough. I just want them to be used! If you would like to adopt these, please let me know in the comments that you are interested. I will ship to anywhere in the US for free. **These blocks have been awarded. A big thanks to all who stepped up to take them off my hands. I will be selecting a winner from those that are interested sometime on Sunday the 16th so be sure to comment before then. If there is more than one candidate, I will select a winner using a random number generator. Please make sure I can get ahold of you! If you are not positive if your email is available, please leave it in your comment. Thanks! 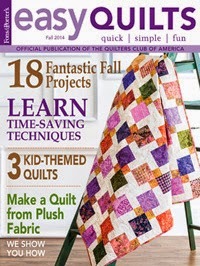 There are other items being adopted out by quilters so be sure and check them all out. Also, if you have items you would like to put up for adoption, you have until the end of the day on the 15th to link up. This is the first time I've seen you 'not' turn a handful of scrappiness into a quilt! Are you feeling okay? I have plenty of projects on my To Do List, or I'd throw my name in the hat. These will make an awesome quilt for somebody out there! Oh, wait! It's Orphan Adoption time again! That's weird; I didn't see the bottom part of your post, or your previous post. Now I understand! Still think will make an awesome quilt for someone! I would love to adopt your blocks. I am part of a group that makes quilts for donation to nursing homes, hospitals, shelters, Beds for Kids. I would love to incorporate your Squared Away blocks with mine! I have no plans for what I will do with them other than I am determined to have a finished quilt top by the end of the year. you are so nice. It snowed here today (Edmonton, Alberta) and your generosity makes the day even more cosy. I make baby quilts for our local NICU. I think I could get several sweet Wee Ones Quilts out of these lovely blocks! I would take your blocks, too! It would be a privilege! :) I've been making the 7.5 inch size, but maybe I could figure out a way to put them together. Or maybe something completely different - so many ideas! Those are beautiful but I would not be donating the finished quilt so it should go to someone else. Is there a link to find other orphan adoptions? Throw my name in the hat! I'd make a donation quilt with them. I’d make a quilt for fire victims with them. I would love to adopt your blocks. They would be perfect for one of my guild's charity groups but lately I've been wanting to make some quilts for the fire victims just across the border in California. I'd love to add yours to mine for one of the charity quilts I have planned. Probably either to hospice or kids going to a bereavement camp. Kathryn dot Laposata at gmail dot com Thanks so much. I love scrappy quilts. Your set of blocks?! I would gladly take them off your hands. There's been no time to sew my own. Thanks for offering them! I would love to have your blocks to make into a charity quilt. what a wonderful way to get rid of blocks you don't want. These are such lovely blocks! Our group makes Tummy Time quilts for the Visiting Nurses Association, and these would make a wonderful Tummy Time quilt! Throw my name into the hat! I would totally love to adopt your blocks! They’re beautiful! I would make a charity quilt which I’ll use as a donation for the annual Hands 2 Help charity challenge run by Sarah Craig at confessionsofafabricaddict.blogspot.com. I would be happy to use these blocks for charity quilts that my guild makes. Right now we are making baby quilts for a local hospital. What a kind thing you are doing by adopting out your orphan blocks. I would love to sew these blocks if I am picked and make a charity quilt and pass it on.